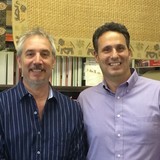 John DeSandre & Joe Deluca have been in the residential and commercial flooring business for a combined fifty years. Together; with John providing his expertise on the carpet & window treatment end and Joe showcasing his talent in the vinyl & ceramic tile area, they have become an unstoppable force in today’s floor covering market. The company has been built on their keen attention to detail and by really listening to what the customer wants. Their “hands on” approach is a testament to their success and contributes greatly to why they furnish and service over a hundred schools, country clubs, banks, hospitals and many corporate & commercial facilities all throughout the tri-state area. The showroom in Bedford Hills displays the latest residential and commercial qualities while providing an abundance of information that has helped the many decorators, designers and architects increase their client base by becoming better informed and providing a top-notch installation. The diversified selection of nylon, sisal and wool carpeting contrasts nicely with a well displayed sampling of resilient flooring such as laminate, vinyl, hardwood and ceramic tiles. The window treatment center offers everything from a simple horizontal blind to a motorized shade that works by a remote control. Please call to schedule a showroom appointment with John or Joe, or take advantage of their free shop at home service! 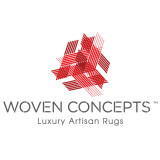 Woven Concepts™ creates signature collections of contemporary and classic rugs. Accuracy in weave and texture, precision of scale, and quality of wool & dyes, are distinctive signs of a Woven Concepts™ creation. Our guiding principles of dedication, consistency, and focus are reflected in all aspects of design and construction. The boutique firm is world renowned for being actively involved in customizing high quality, handmade rugs for outstanding institutions and well-known families. Woven Concepts™ accomplishments are born from our extensive knowledge of all aspects of production, background in high-end fashion, combined with a passion for the endeavor of creating the collectible masterpieces of the future. Defining excellence in creating custom stair and hallway runners for the most elaborate staircases. We also offer custom rugs and custom shapes to best fit your room – on-site cut arounds, runners, area rugs etc. We offer design layout in all rug styles and help you choose the right color border, and binding for your rug. Our mission is to provide perfection for your carpet runner design project. We promise to give you the best of the best product and installation, from start to finish. People come to Kebabian's for the best handmade rugs. We sell top quality, all natural rugs that not only look stunning, but are made to stand the test of time. We have the best selection of top quality rugs in the U.S., and have the ability to create whatever custom rug your heart desires. 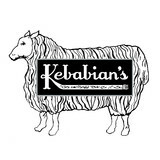 Kebabian's isn't just a rug importer. We are a team dedicated to helping residential customers and interior designers achieve their best work through design. Our knowledge in the industry is unsurpassed, and no matter who steps into our showroom, we make it our mission to help them achieve their goals. 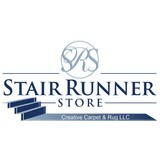 Specializing in hall and stair runners. The entrance is where a home makes its first impression. The addition of hall & stair runner carpet will have the single most significant impact on your foyer's appearance. "The Stair Runner Store" will help you attain the look you desire with the largest selection of stair runners in Connecticut, unparalleled experience and craftsmanship in hall and stair runner or stair carpet installation. Brands include Couristan, Karastan, Louis DePoortere, Momeni, Nourison, Prestige Mills, Stanton, Royal Dutch, Dynamic Rug, RugOne, Kane and more. We are more than just a carpet store - we are your one stop flooring shop. We have one of the biggest selections of carpet, wood, cork, tile, vinyl, shades and blinds on the east end. We carry all the major manufacturers including Hunter Douglas. We can also create that custom area rug you have always wanted. Our state of the art Dustless Sanding and Refinishing machinery will turn your floors from dingy to flawless ! We can also create Custom stain for your floor. Our interior designer will help you make the right choices regarding the styling and color of your window treatments. And there are many options such a cordless blinds and shades which is great if you have young children! Carpet One exclusive products have five warranty levels to fit any budget including warranties against tough stains-even those made by the furry members of your family. From sales to our guaranteed installation your satisfaction is our ultimate goal! We want you to be happy with your flooring choice. Contact us today to discuss your project! We are the Connecticut & New York's premier flooring company with over 10,000 installation & refinishing projects completed over 15 years. Specializing in all aspects of your hardwood flooring needs. Our expert flooring craftsman have over 20 years experience working with hardwood and refinishing. Fovama Oriental Rugs & Carpets of Westchester's principal founder has been in the "Oriental Rug and Carpeting field" of New York metropolitan area since 1979, known for the best values on the finest products. With three generations of experience, millions of dollars in inventory, and strong relationships with the best design houses in the US and abroad, Fovama of Westchester is ready to serve you. You may search our extraordinary collections by design, style, color, exact size and price range for the Oriental rug that will best compliment your decore. We know that the key to a successful business is to deliver the best value to your customer. They will promote your business. We serve New York, New Jersey, and Connecticut. In NY serving Putnam, Rockland, Westchester County, and New York City (Manhattan, Bronx, Queens, Brooklyn, Staten Island, and Long Island). In CT serving Fairfield, New Haven, and Greater Hartford Counties. In NJ Serving Bergen, Hudson, Sussex, Passaic, Essex, Union, and Morristown counties We provide you with extensive information and choices to make sure you are finding the right rug for your needs at an extremely competitive price. If you have any questions, please contact us and we will answer you promptly. Dear valued Customers and Friends, We are excited to announce that as our business has once again outgrown its space, we have moved into a larger building in Long Island City. In the meantime, we have significantly increased our collection of fine antique and semi-antique rugs through recent acquisitions. We are now located at 43-01 21st Street, Unit 110F, Long Island City, NY 11101. This location is even more desirable since Queensboro Plaza, which is two blocks away, can easily be reached by bus or subway from Manhattan in less than 15 minutes. Moreover, we extend complimentary pick-up and delivery service as a courtesy to all of our customers. In addition to our over half-a-century of combined expertise in repairing antique and semi-antique Oriental rugs and European tapestries, we have increased our capacity of hand-washing them at our new location. Undoubtedly, your precious rugs must receive the utmost expert cleaning and repair services to maintain their beauty and integrity for generations. We are committed to providing you with the same meticulous service as we have provided to several museums, an auction house, and many collectors. Building long-term business relationships with our clients is the most important aspect of our mission. Please do not hesitate to call us at 212.717.5400 or send us an e-mail (info@hayko.com) if we can be of assistance to you, or simply answer any questions that you might have about fine rugs and tapestries. We will be delighted to hear from you. Thank you for your time and consideration. Sincerely, H a y k o www.hayko.com 43-01 21st Street, Unit 110F, Long Island City, NY 11101 Conveniently located near the 59th Street Bridge and two blocks from the Queensboro Plaza subway stop which is serviced by the N, Q, E, F, G, M, and 7 subway lines. *Authorized Dealer of Shaw Floors* For ALL Your Flooring Needs! We have been open over 80 years and now in our 3rd generation. With a long history of quality and customer satisfaction, Sullivan & Son offers products and installation to meet all styles and budgets. The care and commitment is unparalleled; a stair runner for a residential customer, a Harlequin Dance floor for Yale Graduate Housing, or vinyl tiles for Scholars Commons at Sacred Heart University will all receive the care and commitment that ALL customers deserve. Your online destination of fine area rugs from our door to yours. Fashion for your floors including Modern,Traditional,Kids,Transitional,Indoor & Outdoor Area Rugs.Shop America's leading online designer rug boutique. Discover fine, one of a kind hand knotted area rugs. Explore fine home design and decor at affordable pricing all with an easy hassle free return policy. Cut-Rite Carpets & Design Center, Inc.
*Authorized Dealer of Shaw Floors* We are a full service, family-owned and operated flooring retailer, serving you since 1989. What started out as a family of installers evolved into a supplies warehouse and eventually a full service flooring store. We pride ourselves with our service to our customers. Floorcraft has no commissioned salespeople. We are trained to make sure our customers needs are met — not our own— and we actually keep our promises. Free, no pressure shop-at-homes are exactly that. Our reputation precedes us. Our large client base constantly brings in new referrals. It reinforces the theory that if you take care of your customers they will take care of you! We carry a variety of flooring brands and products, including Shaw's Anso, Clearly Chic, ClearTouch, EverTouch, R2X Stain Remover, Stainmaster, St. Jude Carpet Cushion, and Tuftex! We accept Visa and MasterCard. Come visit us today! We are well known for our community involvement. Besides being a regular attendee to the annual fund raiser for Hillside Food Outreach, a local food pantry that delivers food to needy families, we take out ads in their newsletters and donate oriental rugs to their silent auction. We have also taken out ads in local church newsletters and have helped out at a local JCC. The local schools have also benefited from our willingness to work with them. FJ Kashanian Rugs is a designer and importer of area rugs from India and Pakistan. The Kashanian family combines classic patterns with contemporary colors to create refined styles with a fresh modern spin. Designer Rugs & Carpet by Peykar is dedicated to elegant design. Our new and improved showroom, conveniently located in Long Island, NY is set up to bring the most selection of fine flooring to one place. Here you will find all the major brands of fine wall to wall carpet in all of the highest fashion themes at the best values. Our family’s 43 years of experience in rug importing contributes to the fact that our rugs have a unique level of style, value and quality. Currently we are very focused on transitional rugs that will surprise even the most discerning designer. We also carry a large selection of traditional and contemporary rugs. Our weavers and designers are also in the ready to make any style, design, color way, custom rug or carpet that you can imagine. Our custom lines are created with the fastest turnaround times in the best qualities possible. Our brand new hard surface department is filled with an extraordinary array of woods and floor tiles. These are suited well for residential and commercial applications. Our rug cleaning, repair and restoration department does museum quality work on all kinds of rugs such as needlepoints, antique silk rugs and even simple domestic rugs. We also have experts on site who can appraise your rugs. Carpet dealers in Coram, NY help homeowners choose the correct carpet covering for their floors, and also assist with carpet maintenance. This includes determining factors like material, carpet pile, durability, color and size, as well as helping with any custom carpet design. After completing the initial installation (which includes removal of the old flooring, if applicable, and surface prep), they may also handle follow-up maintenance requests such as carpet cleaning, carpet repair and carpet stretching. Carpet dealers might work closely with New York contractors, interior designers and others in the home building and home improvement industry. Here are some related professionals and vendors to complement the work of carpet dealers: Interior Designers & Decorators, Design-Build Firms, Specialty Contractors, General Contractors, Home Builders. Find a carpet dealer on Houzz. Narrow your search in the Professionals section of the website to carpet dealers in Coram, NY, and read reviews and ratings for pros in your area.